In retail, after Black Friday, stores do a quick inventory and review of the schedule to make sure that they are prepared for the rest of the season. Of course, in any situation involving customers, there should also be some kind of follow-up as well. Customers should be thanked and shown deep appreciation. They need to be properly thanked! Coupons and surveys are sent out, appreciative messages are broadcasted across social media, some even take ads out just to show their gratitude towards supporters. With your music career, you should thoughtfully be thinking about how you can make the most of each show, which includes a post-show plan that you follow. It should have some routine elements that have details of what will happen, when it will happen, and also why it should happen. Share Gratitude: Thank the promoter, venue, sound engineer, fans who attended, other bands – basically, anyone who was involved with your show. This can be through social media, email, or even physical thank you notes. Whatever the method, it should be sent within 24 hours of the show. Review the Performance: You should record each performance (especially with something that has decent audio) so that you can highlight good and bad moments from the show. Review the show as a band and look for areas of improvement: stage banter, certain moves, flow of the set, audience involvement, lighting, set design, etc. Even if you have nothing to improve, you’ll still have some good footage that you can share online. Update Your Contacts: If you have new contacts to add to the mailing list, try adding them within 48 hours of the show. Thank the people for coming to the show. Social Media/Blog: Share any highlights from the show – photos, videos, quotes, funny moments, etc. across your social media channels and/or band blog. You could send out quick updates or a full write-up/video review. Contact the Press: Did something newsworthy happen at the show? 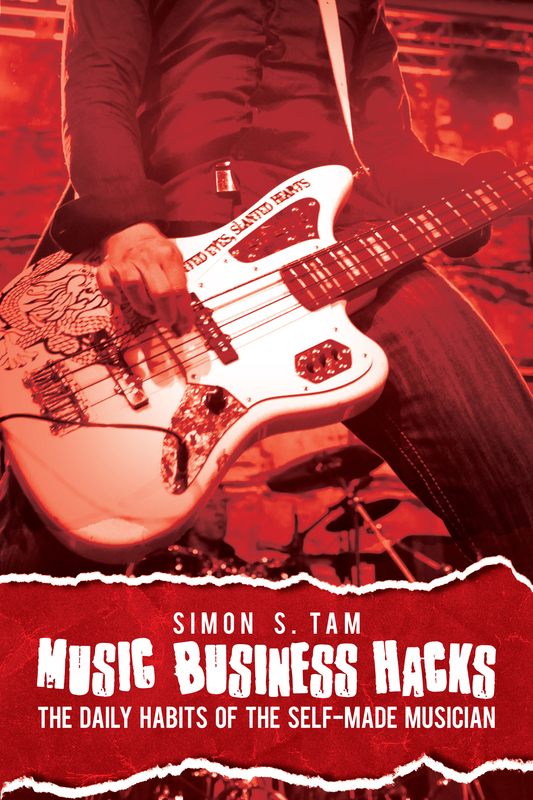 It could be positive (your band got signed) or negative (your band got banned), but either way, you might have more opportunities to get some press coverage. Order Merchandise: If you noticed that certain items were running low or high in demand, it’s best to place orders in as soon as possible so that you’ll be completely restocked before the next show. Equipment Maintenance: Frequent playing can really wear down your gear. From old strings to action resetting, missing bolts to dying batteries…it’s better to take care of issues offstage rathern to deal with problems on stage. Doing a spot check can make sure everything is ready to go for the next performance or rehearsal. Proof of Performance: If you have sponsors or investors, consider delivering a “proof of performance.” In other words, provide a recap specific to their interests: where their logo was displayed, what the attendance was like, how your brands were connected or marketed to the audience. You can also show web visits, social media engagement, or any other statistics related to the show that would continue to show value for their investment. Whatever you decide to do, just make sure it’s done with consistency and purpose. You might spread the responsibilities around and charge certain members or road crew with certain tasks. By building these regular habits into your routine, your band will have greater professionalism, be working towards tangible goals, and you’ll be able to leverage the benefits of performing live to a much greater degree than just playing show after show with no post-show procedures at all.